My daughter loves everything unicorn. Everything. So when she asked if I could make her some unicorn-themed valentines this year for her to give to her friends, of course I said yes!! 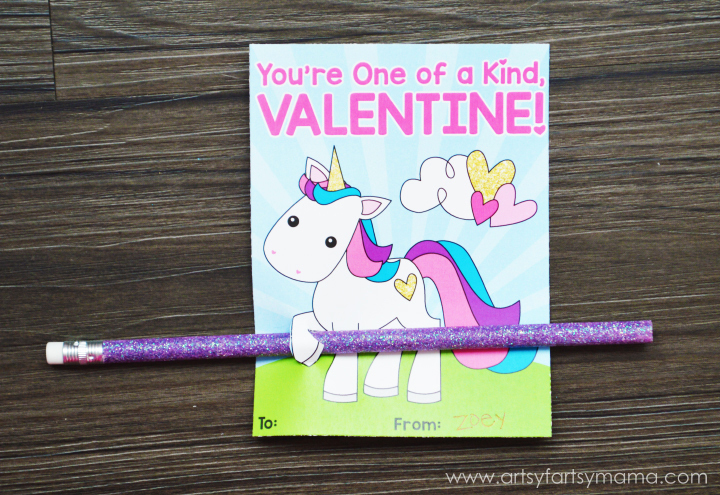 I'm sure she's not the only unicorn fan out there, so I'm offering the Unicorn Valentines as a free printable for you, too! There are the four different Valentine designs included in the printable. Just print, cut, and write in the to/from and you're good to go! If you want to add something extra (we chose sparkly glittered pencils), it's easy to attach it to the cards! Cut carefully along the unicorn's leg with an Xacto knife and slide the pencil (or sucker, candy, etc) through so it looks like the unicorn is holding it! 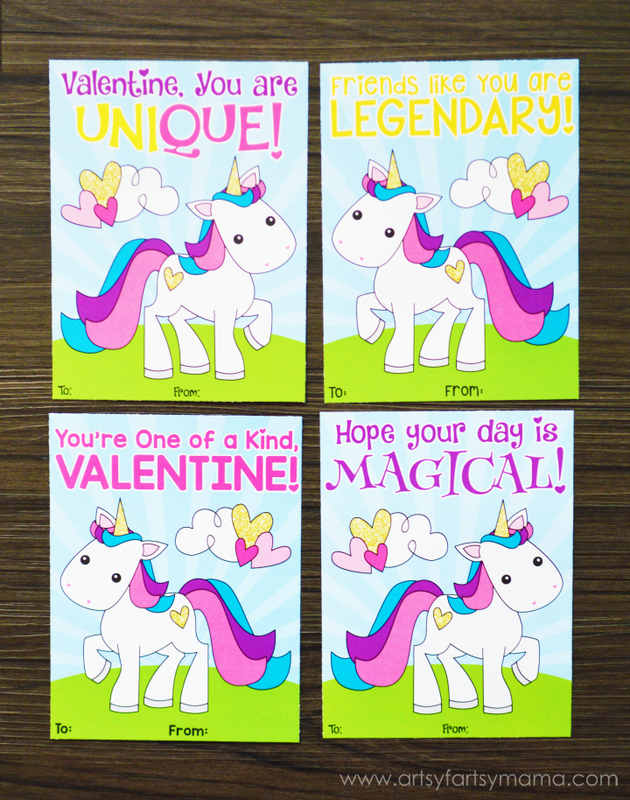 For best results, print the Unicorn Valentines on cardstock. Am I missing the link to download? I've looked this post over 5 times and can't find it.